Freo's Choice 402 + 403 are BUDGET fully furnished self contained 1 bedroom units situated in the heart of Fremantle's Town Centre with secure free parking. Situated on the 4th floor of an apartment block in the centre of Fremantle, Freo's Choice 402 & 403 is your ideal budget accommodation. Both properties are self-contained with kitchen facilities , combined lounge area & small balcony. There is a separate bedroom with queen size bed and an ensuite equipped with shower & WC. * Single bed available for twinshare bookings available ONLY in 403 (2 adults each requiring a bed) for an extra charge. Forget about parking hassles with our free secure off-street parking included in your stay. 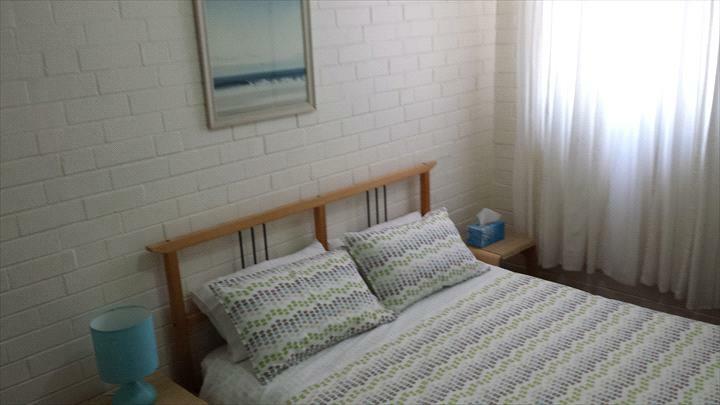 One Bedroom fully self contained unit with queen bed and single bed and separate bathroom. There is a combined kitchen and lounge area, small balcony & secure off street parking. Please note...402 is SINGLE / DOUBLE or TWIN SHARE... It has a single bed ready to use conveniently set up in lounge. The property owners will make every effort to ensure the property is available as booked. However they reserve the right to make alterations to bookings due to unforseen circumstances without penalty.